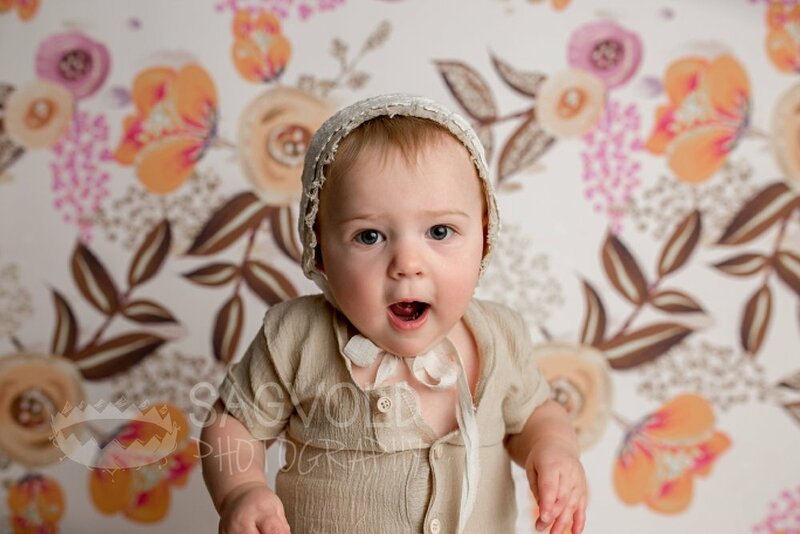 Lydia came with her mama, Laura, for her one year milestone session. 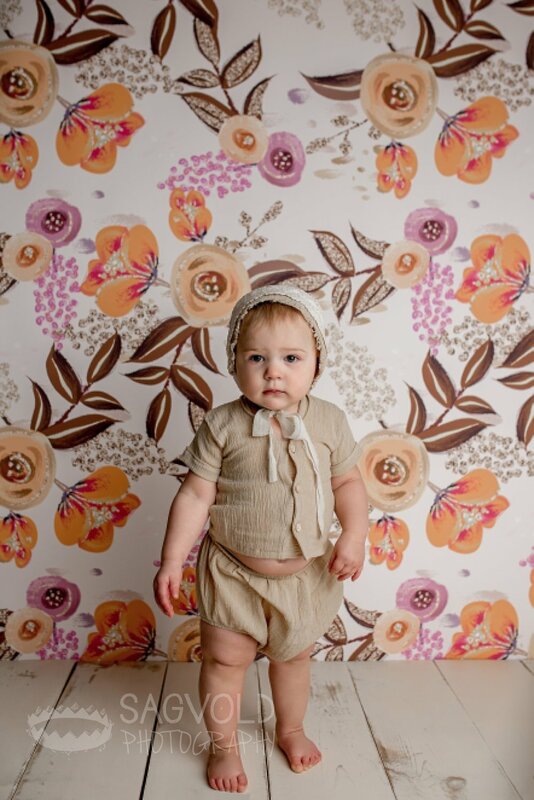 She was the first to wear two amazing new outfits I ordered from Alpine Lane and Avonli Baby. She looked so cute in the clothes, but would not give me one single smile. I pulled out all my tricks and bells and whistles and nothing! She was stone cold. She may think she won, but little does she know, she looks so adorable, smiles or not. 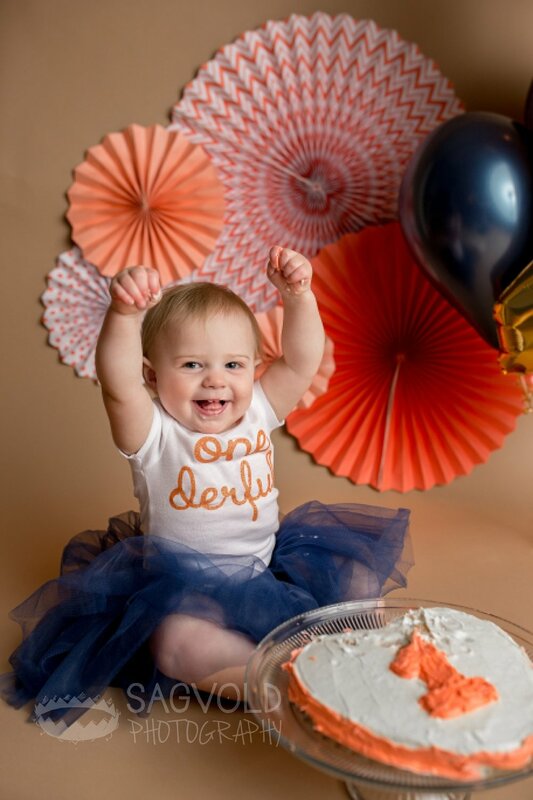 Laura wanted to do a cake smash to celebrate Lydia’s milestone. She sent me a picture of an adorable outfit she ordered from Etsy. I had so much fun shopping for decorations to match, as well as making a matching flower headband. Laura made the cake and it turned out beautifully. 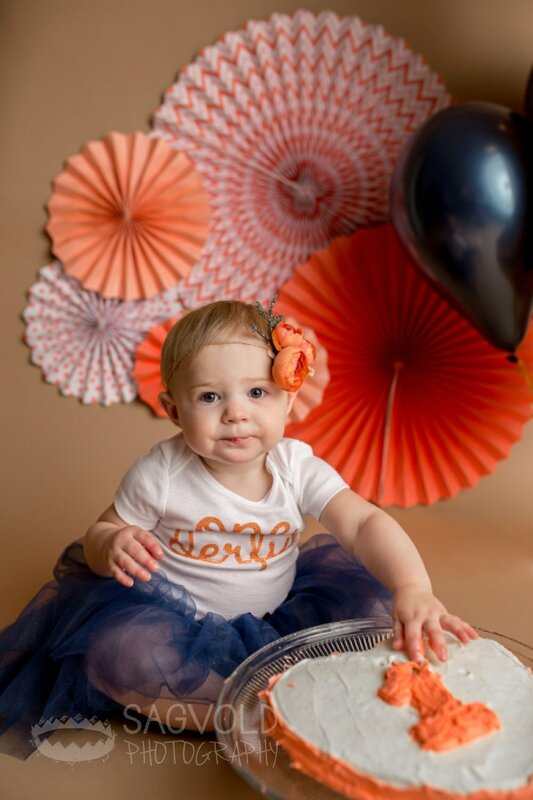 I put together the cake smash set-up while Laura changed Lydia into her first birthday outfit. We then set Lydia in front of her cake and she just looked at it for a second. She slowly stuck her finger in the icing and put it in her mouth. She went back for more. Guess what happened next? SMILES! All the smiles. 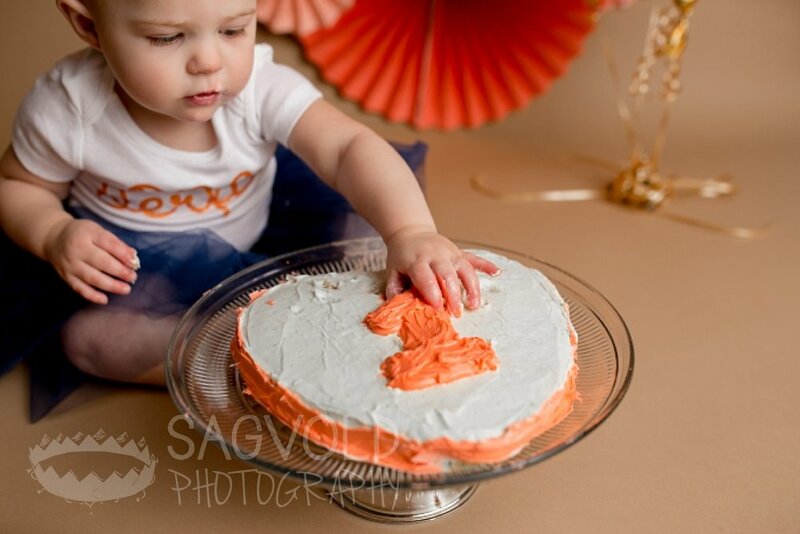 She had so much fun eating her cake and playing ‘so big’ with her mama. My favorite part of the session was the ‘after cake smash’ bath. When we first put Lydia in that little tub, she hated it. Once she realized that she was in water, the splashing started. She had a blast. There was water everywhere! 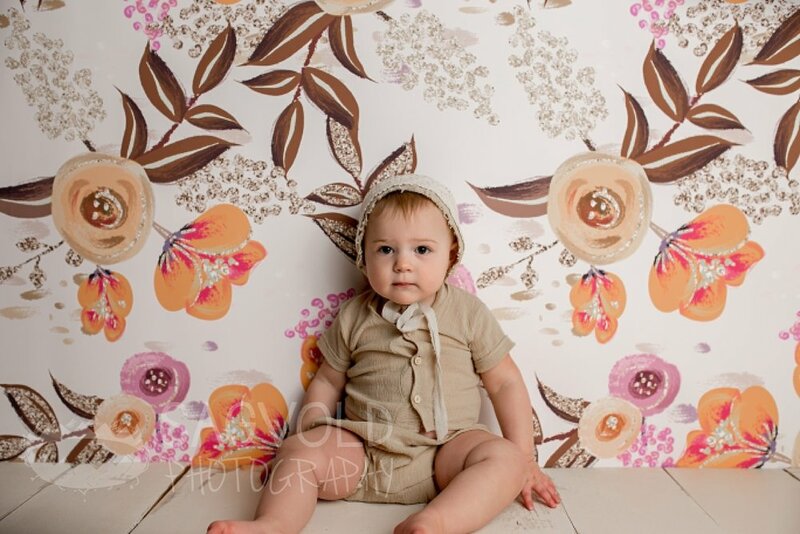 It is amazing to be able to photograph a baby from newborn to a year and be able to capture how they change and develop an amazing personality. Reason 987 why I love what I do. 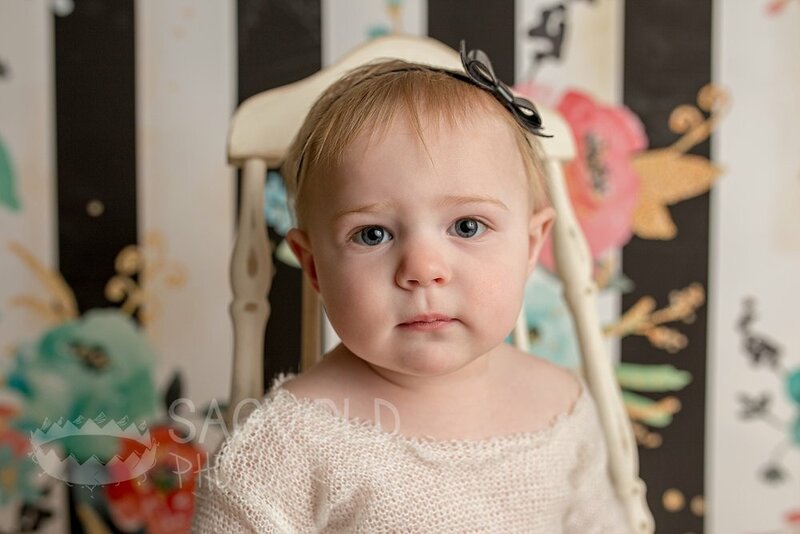 To view more images by Janna Sagvold Photography, click here. To book your session, contact me here.